Also serving communities of Bound Brook, Warren, Bridgewater. There are 6 Memory Care Facilities in the Hillsborough area, with 2 in Hillsborough and 4 nearby. The average cost of memory care in Hillsborough is $5,205 per month. This is higher than the national median of $4,650. Cheaper nearby regions include Princeton with an average starting cost of $4,970. To help you with your search, browse the 1 review below for memory care facilities in Hillsborough. Better rated regions include Princeton with an average rating of 1.0 out of 5 stars. Caring.com has helped thousands of families find high-quality senior care. To speak with one of our Family Advisors about memory care options and costs in Hillsborough, call (855) 863-8283. Hillsborough Township is a township in Somerset County, in northwestern New Jersey, and it has a population of about 40,000 people, 12 percent of whom are 65 and over. Some of these seniors may be one of the 210,000 New Jersey residents projected to develop Alzheimer's by 2025, according to the Somerset County Needs Assessment. The New Jersey Alzheimer's Association publishes a schedule of family support groups, including those closest to Hillsborough families. Within the township, there are also two memory care facilities to support residents with Alzheimer's and other dementias, and four more facilities are located in nearby communities. In Hillsborough and throughout the state, memory care services are provided in assisted living facilities, but they can also be housed in separate facilities. 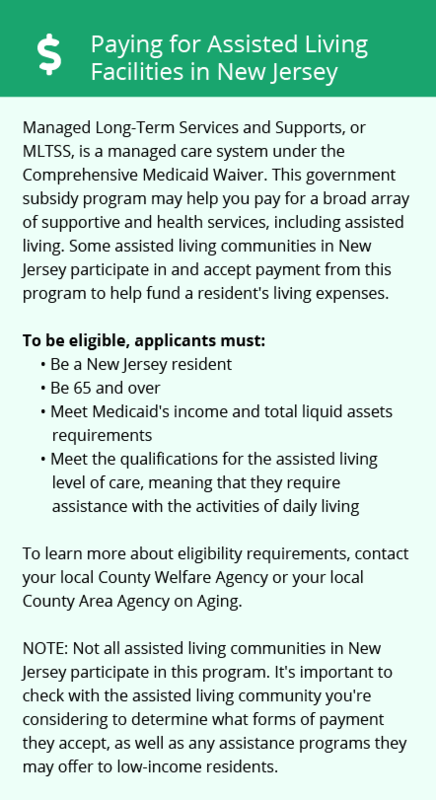 Social Security benefits are not taxed in Hillsborough or elsewhere in New Jersey. Although other types of retirement income are taxable, seniors aged 62 and over typically qualify for a large deduction. This may leave more money in the budget for memory care. Overall, living costs in the city are about 58 percent higher than the national average, meaning this city is a fairly expensive place to live. Healthcare expenses are slightly below state and national averages, so families managing the budgets of loved ones in memory care may save a little on healthcare costs compared to some other U.S. cities. On a 100-point crime scale, Hillsborough is rated at about half the national averages for both property and violent crimes. This may provide peace of mind for families with loved ones in memory care here. In Hillsborough, residents get about nine more inches of rain and four more inches of snow than the national average, which could present challenges for family and spouses with mobility issues visiting residents in memory care. Memory Care costs in Hillsborough start around $5,205 per month on average, while the nationwide average cost of memory care is $4,800 per month. It’s important to note that memory care rates in Hillsborough and the surrounding suburbs can vary widely based on factors such as location, the level of care needed, apartment size and the types of amenities offered at each community. Hillsborough and the surrounding area are home to numerous government agencies and non-profit organizations offering help for seniors searching for or currently residing in an assisted living community. These organizations can also provide assistance in a number of other eldercare services such as geriatric care management, elder law advice, estate planning, finding home care and health and wellness programs. To see a list of free memory care resources in Hillsborough, please visit our Assisted Living in New Jersey page. 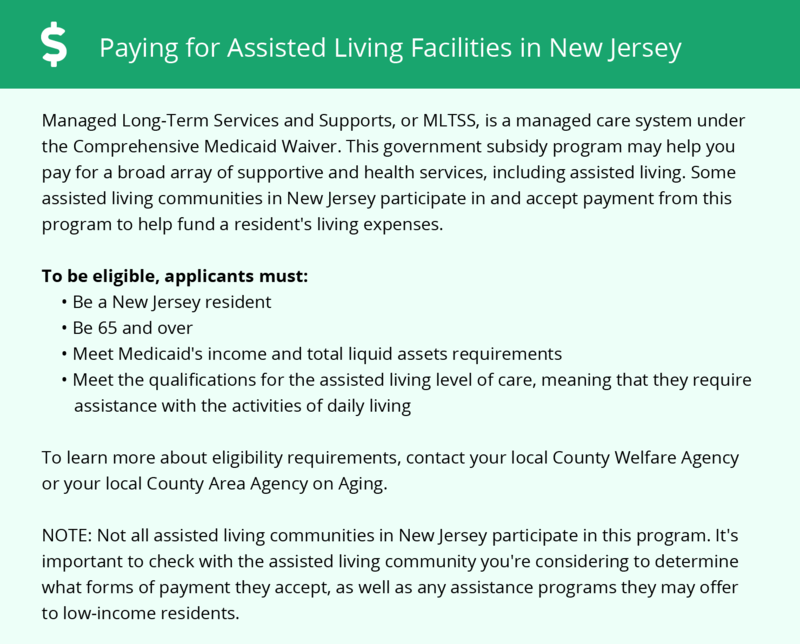 Hillsborough-area assisted living communities must adhere to the comprehensive set of state laws and regulations that all assisted living communities in New Jersey are required to follow. Visit our Memory Care in New Jersey page for more information about these laws.